WA brewers expect the Federal Government’s announcement of excise relief will enable local beer producers to grow their businesses and create more jobs throughout the industry. However, the Western Australian Brewers Association (WABA) has concerns the government’s announcement that all kegs over eight litres will attract the same excise rate will open the door for overseas and interstate competitors to flood the local market. Treasurer Scott Morrison has revealed the excise rebate for all breweries will rise from $30,000 a year to $100,000. The changes will be implemented in next week’s Federal Budget and come into effect from July 1, 2019. This has been championed throughout the sector and WABA believes that while it won’t necessarily result in cheaper beer for the consumer it will allow breweries to invest in their operations and extend employment opportunities. The craft beer sector is already a strong job creator. According to a recent economic review conducted on behalf of the Independent Brewers Association, for every 1 million litres of beer produced by a small brewer there are 40 jobs created. Yet for the same amount of beer macro-breweries deliver 0.5 full-time positions. WABA had been campaigning for some time for a better excise arrangement, particularly as wineries can claim up to $350,000 rebate via the Wine Equalisation Tax. President of WABA, Dan Turley, said the decision means local breweries can continue to support and contribute to the community and they can continue to invest in and expand their businesses. “With this growth, we can hope to see the continuation of strong relationships with local manufacturing, agriculture, transport, packaging, marketing and retail markets, who all benefit from and support West Australian breweries,” Mr Turley said. “The WA Brewers Association would like to thank the Federal Government for their support and their confidence and endorsement in such an important, thriving industry. In Western Australia, the craft brewing industry is an extremely important contributor to the State’s growth – with over 60 small breweries here, who directly and indirectly support thousands of employees across the state. But WABA believes the decision to level the taxation on all kegs over eight litres will put added pressure on the local brewing industry. Current kegs over 48 litres are taxed at $34 a litre of alcohol while 30 litre kegs attract a $49 a litre of alcohol excise. WABA believes the arrangement has prevented interstate and overseas beer manufacturers from flooding the local market. With the advent of one-way kegs, which, unlike 50 litre kegs, can be disposed of after use, overseas brewers will look at bringing more of their beer into the State, putting competition pressures on local beer makers. WABA believes the current arrangement provided some protection to local breweries. But that position is now under threat. WA is the only State in Australia without a macro-brewing operation but there are 62 small breweries throughout the State. 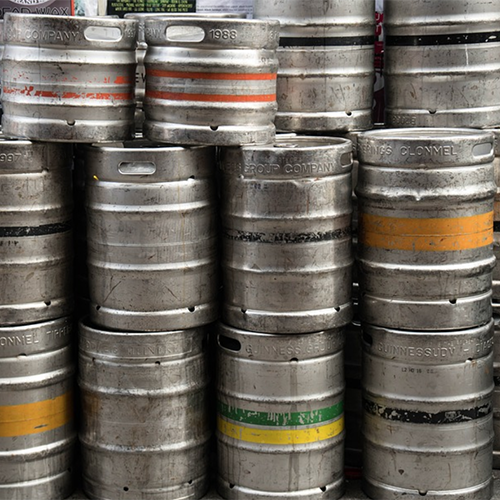 “The reduced keg excise must be met with some caution, however, in that it may also potentially open the floodgates for cheaply produced imported beer packaged in smaller kegs, especially one-way disposable plastic kegs,” Mr Turley said. WABA calls on the Federal Government to apply the lower rebate on returnable (or non one-way kegs) only. For more information please contact WABA Executive Officer Ross Lewis on 0409 770 788.